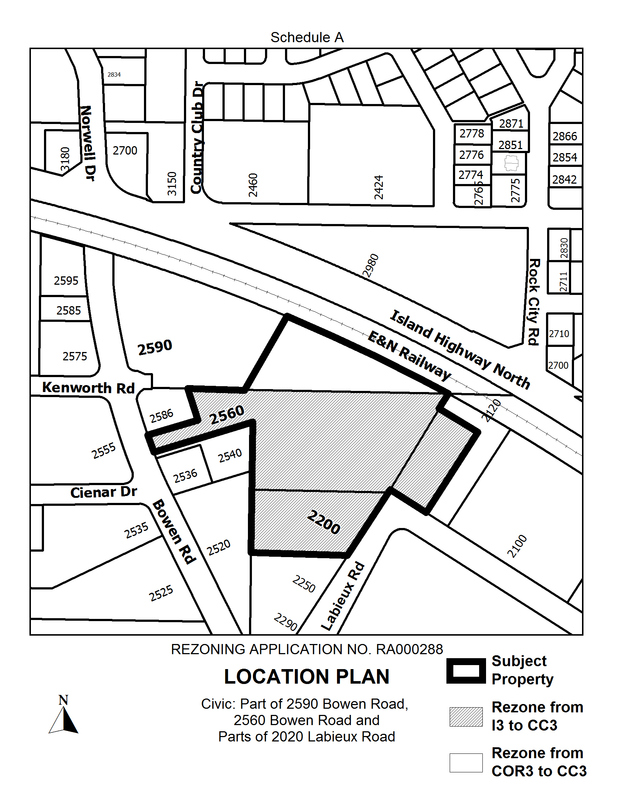 Application Description: To rezone 2560 Bowen Road, and parts of 2020 Labieux Road (1900 and 2200 Labieux Road) from High Tech Industrial (I3) to Community Corridor (COR3) with a site-specific use permitting Automobile Sales, Service and Rental, to facilitate commercial and residential development. Additional Information: Please note that this application is being processed jointly with an Official Community Plan (OCP) Amendment Application - Application No. OCP66. Refer to the Light Industrial designation of the Official Community Plan (OCP) for more information.